I’m blogging in the sky today. This is a new one for me. No, I’m not cool enough to hook up my laptop to in-flight internet and post a blog; I’m just a simple gal. This one was written long-hand on a legal pad. I find the whole in-flight internet thing way too complicated . . . not to mention expensive. The bottom line is, I’m cheap. There. I said it. The battle is now half won. Admitting it was the hardest part. So, while we’re talking about nonsense, here’s a tidbit for you. The city of Chattanooga has roughly 180,000 people, Tulsa has approximately 400,000 people. Tulsa has a Cheesecake Factory, and Chattanooga doesn’t, but Chattanooga has a J. Alexanders, my favorite southern chain restaurant, and Tulsa doesn’t. Chattanooga also has the shopping chops to boast two T.J. Maxx’s. Two! These are the things I ponder when I’m flying. I know, my intellect is astounding. Tulsa is brown, Chattanooga is green. Both are hilly, Chattanooga a bit more as it borders the Appalachian mountain range. But when you compare our towns, the bottom line is, they both have good points and bad points . . . kind of like people. I’ve made a life in Tulsa, Christi has made one in Chattanooga. We both decided to grow where we were planted. Or maybe grow where we landed. Either way, we have a home, we have roots, we have friends, we have fun places we like to go. We both know how quickly we can scoot down to the mall, and where to park for easy access to the shoe department. Priorities, man! I’m happy where I am, she’s happy where she is. We are using our skills and our gifts and we are doing our best to make a mark where we live. Are you making a mark where you live? Remember, you really matter. You matter to your family and your friends. Your circle of influence has eternal ramifications. I encourage you to check yourself. Stepping back for a few days helped me do this. I’m ready to start my week making a mark where I live. How about you? You have nailed it on the head sister of mine! I’m gonna say we are making a mark where we landed!! lol. I sure am glad that I landed 40 years ago…right where I was supposed to be! I definitely made my mark…then moved on to make another mark and another and another. I have made TOO many marks to even count! LOL. Point is…we make them and there they will stay…as precious memories until we make more. Thank you for making your mark where you landed last Friday in Chattanooga, with me, to celebrate my 40th. A memory I will NEVER forget. 🙂 I love you. Proof I do actually read your blog. 🙂 Christi has definitely made a mark in Chattanooga. And in the people here’s heart. Everyone that meets her can’t help but love her. I’m blessed to call her a friend. And you. I am sooo glad I got to see you again this past weekend. 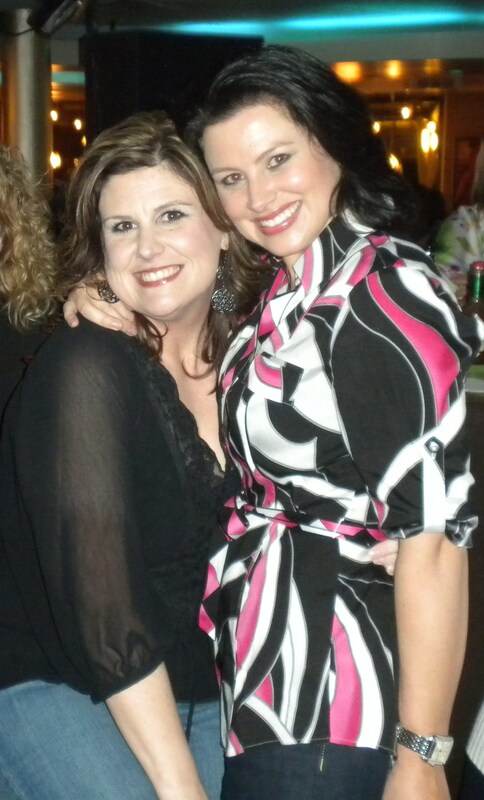 I had so much fun with you and your best friend celebrating our beloved Christi’s birthday! Lindsay, I just read this…and I must say I am just as blessed to call you my friend! You are amazing…inside and out in every way! Ah Juli, even when you’re being flip and un-“intellectual,” you are anything but “simple.” Those writing genes within you let slip hints of thoughts for the ages. Speaking of age, so cool you get to practice your own decennial event of some note, a year early. Yet you already know; it’ll never be routine, and yes, you matter too. PS: Truly great picture of you both. Cherished it will be…. surely by those who’ve traveled, planted, bounced, and landed with you both… there and back again.